Do we have your attention now? Much maligned for reaching the Northwest League Playoffs with the league's worst overall record, the Eugene Emeralds are officially heading to the Championship Series, defeating the Hillsboro Hops 3-2 in Game 2 in Hillsboro, sweeping the first round series 2 games to none. 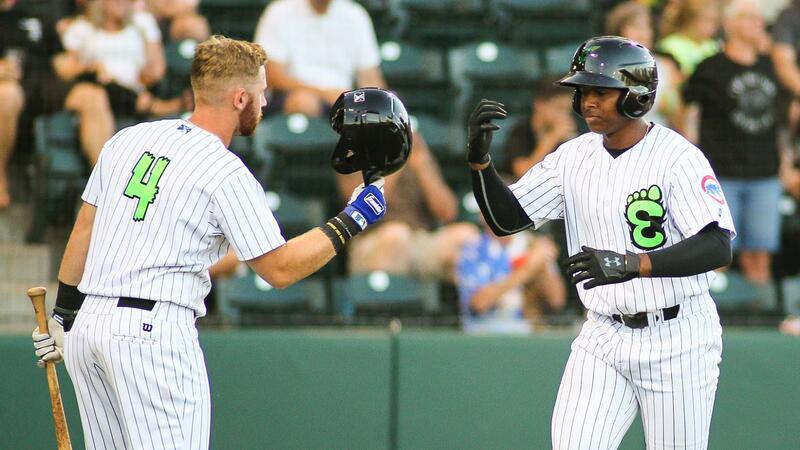 After getting no-hit going into the 6th inning, the Ems took advantage of a defensive miscue by the Hops in the frame, scoring two runs after a chopper off the bat of Nelson Velazquez scooted up the middle and the Hops were unable to complete the play. Luke Reynolds then followed him up with an RBI double, and those 3 runs were all the Ems needed to finish off the victory. Are you paying attention now? The series victory not only sends the Emeralds to their third consecutive championship series appearance, but they also defeated the team with the league's best overall record in the Hops, who finished a full 20 games ahead of Eugene in the overall standings. However, in the playoffs, throw the records out the window. The Ems have proven that they can win when it matters most. Do you believe us now? The Ems will now await the result of the winner-take-all Game 3 on Friday, September 7th, between Spokane and Everett to determine who they will face in the championship series. If Everett wins, the Ems will travel for Games 1 and 2 in Everett on Saturday and Sunday, before returning home to PK Park in Eugene for Games 3-5 on Monday-Wednesday of next week. If Spokane wins, the Ems host all 5 games of the final series, beginning on Sunday, September 9th and potentially running through the following Thursday, if necessary. Tickets will become available as soon as the Emeralds learn of their championship opponent on Friday night and the schedule is officially known. Fans can purchase those tickets at www.EmeraldsBaseball.com.